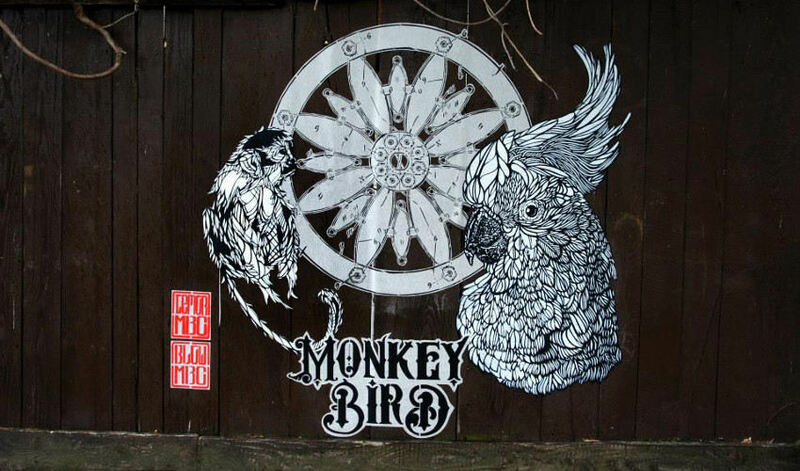 Monkey Bird is a duo of French contemporary artists born and working in Bordeaux. They are known for using symbolic anthropomorphism in their artworks. That means they are depicting wild animals in urban areas. The duo is active since 2010. 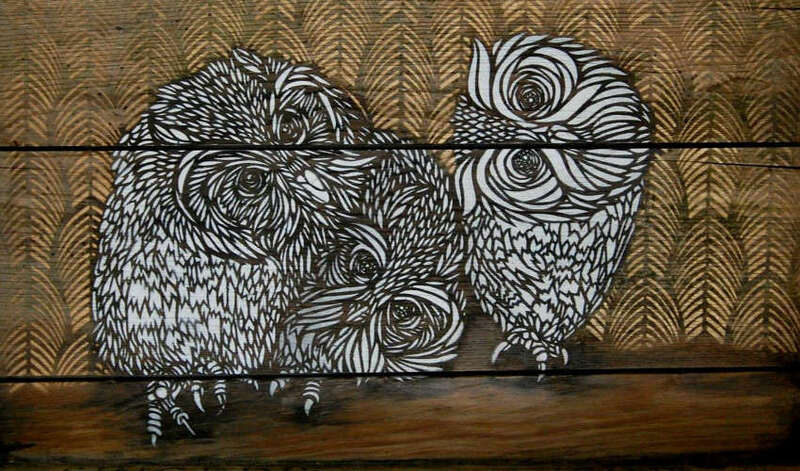 They work in a stencil, collages, spray painting, drawing, carving, silkscreen and engraving. The duo consists of Blow the Bird and Temor the Monkey, and they incarnate the two faces of humankind, the monkey being the realist, and the bird being a dreamer. Members of the crew have BTS in graphic design, BTS in object design and MA in industrial design. In their work, a search for balance between dreams and reality is visible, as their goal is to become the alchemists of the living desire. The artists are inspired by ephemeral monumentality, religious paintings and the art nouveau. Before they started working on the walls of museums and institutions, both artists worked on the street. In fact, that’s how they met in the first place. 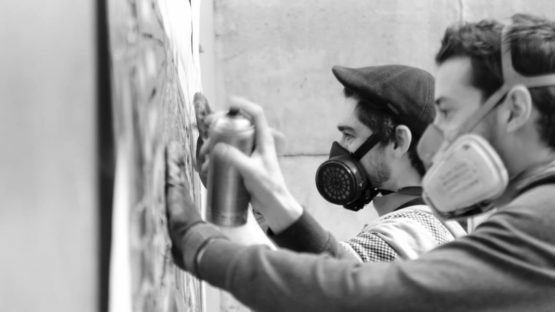 One of them was looking for a change in his graffiti and the other a change in framework and identity. Unconsciously, the symbols came to them naturally, giving their approach an intellectual note, unlike the early works, which were primarily an instinctive need. Monkey Bird crew loves working on antique doors, waste walls, abandoned and industrial buildings. Their mission is to transcribe social themes into walls, through the use of animal totems and elaborate symbolism. Most of the inspiration comes from the sacred or lyrical works like illuminations, stained glass, and architectural ornamentation seen in the illustrations of “Arts and Crafts” or Japanese prints. They leave their signature marks all around the world. They are represented by GCA Gallery in Nice, France. Monkey Bird crew lives and works in Bordeaux.